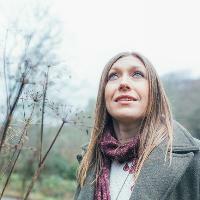 Rachael McShane is a singer, cellist, fiddle and viola player based in the North East of England. Best known as an original member of folk big band Bellowhead, Rachael has more recently been singing the role of Susannah Holmes in a new adaptation of The Transports alongside The Young’uns, Faustus and Nancy Kerr. Rachael is now working on a new solo project, Rachael McShane & The Cartographers, reworking traditional songs with a brand new band, featuring guitarist Matthew Ord (Assembly Lane), melodeon player Julian Sutton (Kathryn Tickell, Sting) and Dan Rogers (The Unthanks) on double bass. Rachael is heading into the studio later this year and will be releasing her new album in 2018. Rachael’s brand new band is now booking for next year! Watch this space for more details and music soon. Cartographers mixes uploaded to Soundcloud. Do you promote/manage Rachael McShane & THe Cartographers? Login to our free Promotion Centre to update these details.